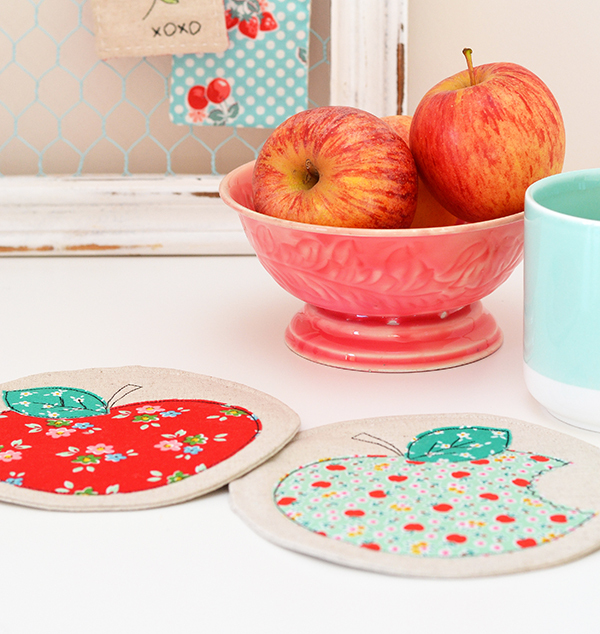 Have you been following Lori Holt's Sweetie Pie Sew Along? This adorable quilt (featuring Lori's own Sew Cherry 2 fabrics in the picture below) would be such a happy addition to any home! You can download the free quilt pattern here, and Lori has been publishing a series of posts on her blog, literally taking you through the making of this quilt step by step with great photos and lots of tips. 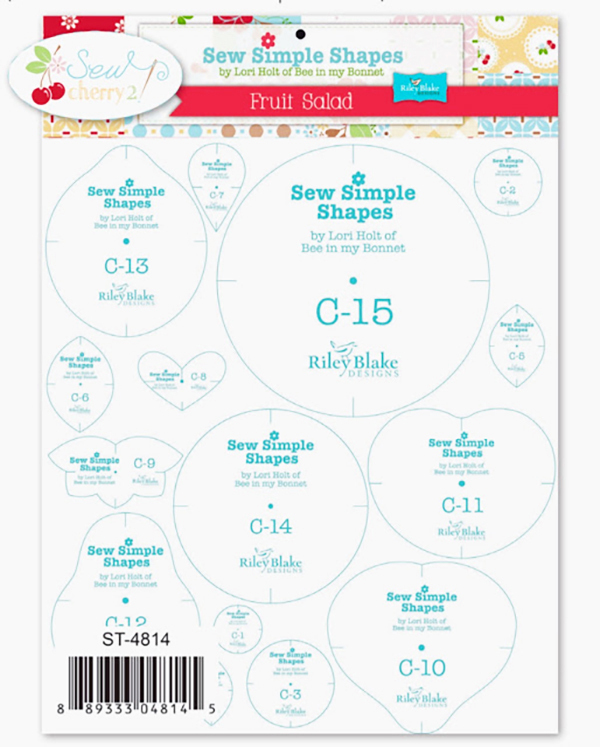 To make this quilt you will need Lori's 'Fruit Salad' Sew Simple Shapes (applique templates), and also her Pie Ruler to make the Dresden plates. 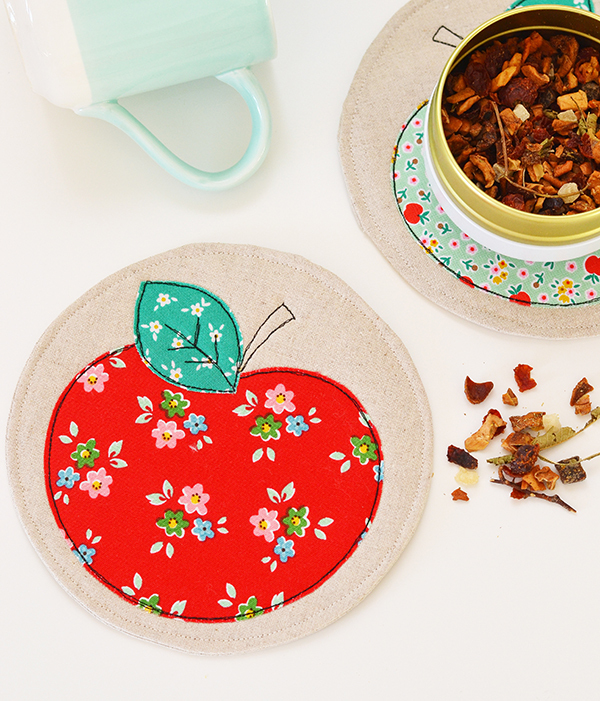 This week it's my spot in the Sweetie Pie sew-along, for which I picked the apple block. 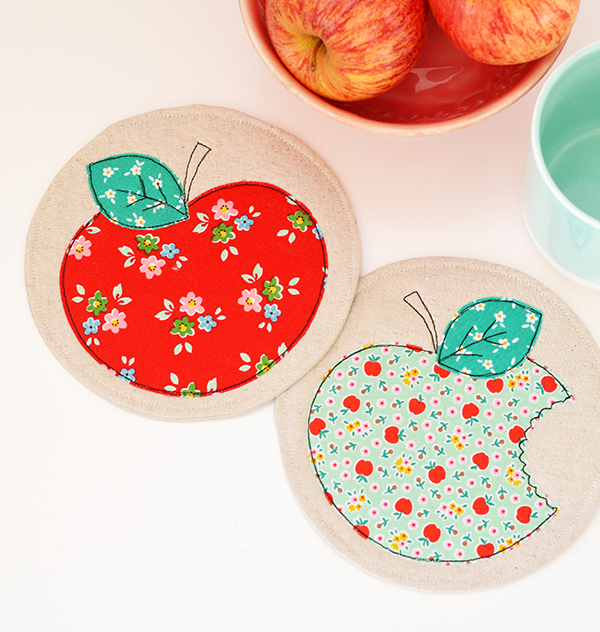 Instead of making the standard Dresden block, I wanted to demonstrate a different and fun way of using the Fruit Salad templates, so I used my apple template to make a pair of coasters. These templates are so versatile, so why not use them to make other things? 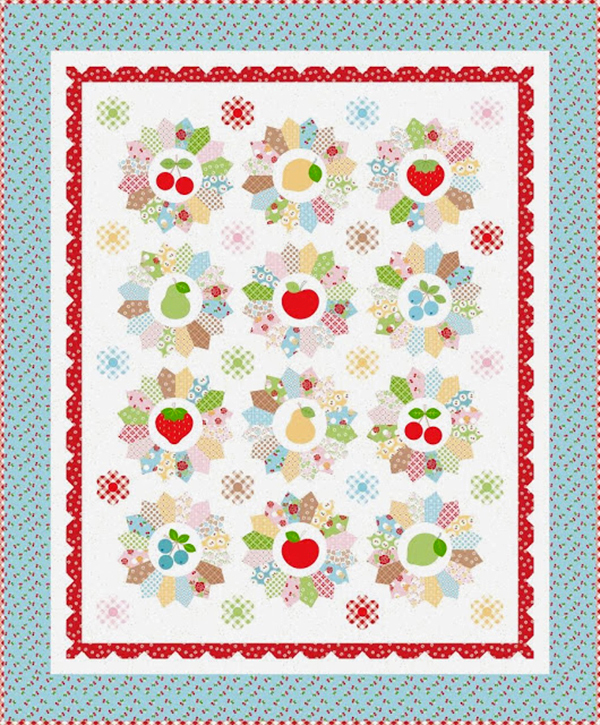 The two green fabrics are 'Apple Farm' by Elea Lutz for Penny Rose Fabrics and the red floral is from Nadra Ridgeway's 'Backyard Roses' for Riley Blake Designs. To make the coasters I first made a 6" circular base using linen back and front with a layer of wadding in the middle. I then appliqued the apple and leaf shapes (C11 and C5 from the Fruit Salad shapes) using fusible web, and stitched around the perimeter of the apples in black twice, and also did the same to draw the stems and the leaf detailing. Oh and I cut out a chunk off the green apple with scallop edge scissors for a cheeky touch! 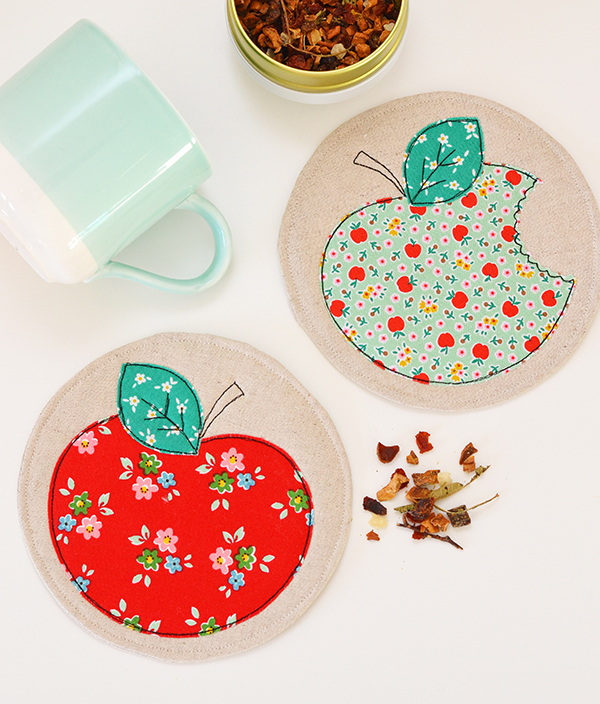 They were a super quick sew and I'm thinking they will make great teacher gifts. Hope you like them. 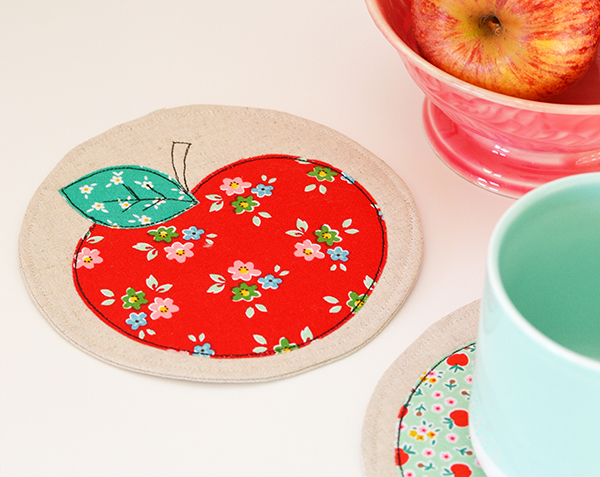 These coasters were the very first things I made in my new sewing room, in our beautiful new home. 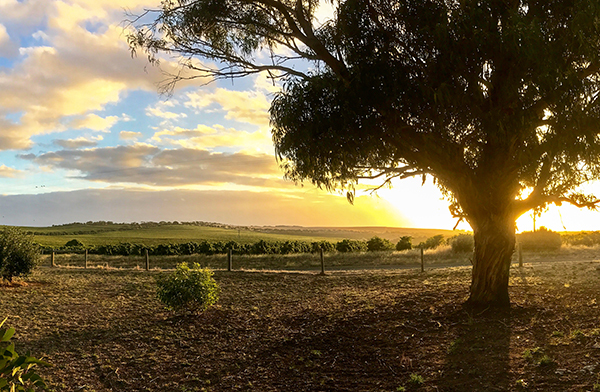 We moved here a week ago and I'm exhausted beyond words with all the unpacking but also so happy we did it - the house is magnificent, and so are the 360 degree country views we get to enjoy, such as this one taken at sunset. The kids are so excited and I'm looking forward to all the happy memories my little family will make here! I will share more pictures with you as soon as it's looking a bit more presentable. Thanks for visiting today! 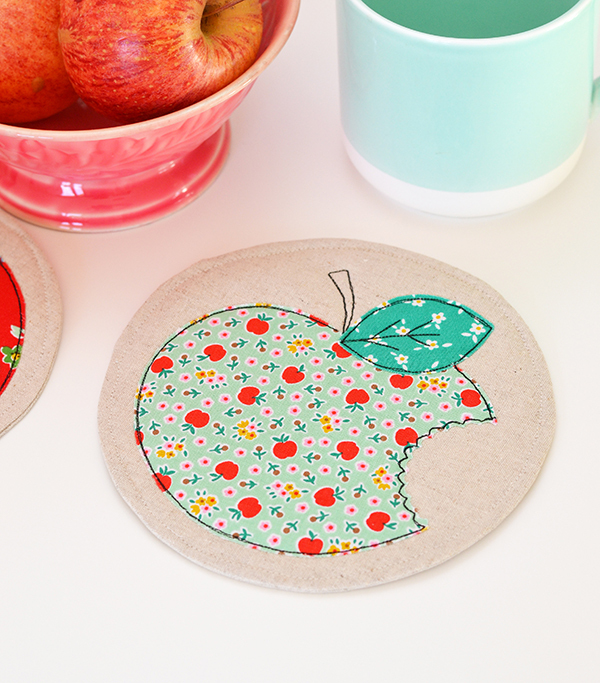 These coasters are beautiful - love how you added a 'bite' to one of them :)!! Enjoy your new home - what a view!